Please note 1 " currently not available. These bars are wider for more comfort and have more pullback for a more upright seating position. They are available in a chrome or matte black powder coat finish to suit your style. 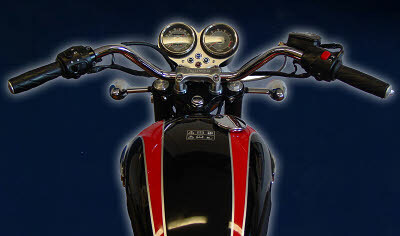 Work with the stock switchgear wiring and throttle cables with a simple re-route. 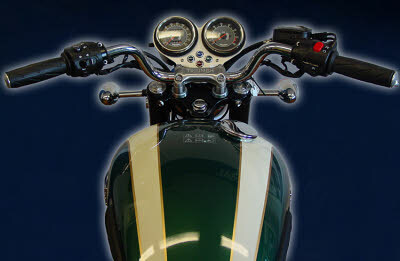 NOTE: This kit includes a pair of 1" (25.4mm) or 7/8" (22mm) diameter bars depending on which model Bonneville you have. Bonnevilles after VIN 380777 or the SE model have 7/8" (22.2mm) diameter bars. Please check your handlebar diameter if unsure.